What if dog owners with limited arm mobility could play catch with their service animals? What is the best way to teach young kids about nanotechnology? Could a worm farm lead to better plant growth in a remote Peruvian village? These are just a few of the questions asked — and answered — by high school participants in the EPICS K-12 program, an initiative funded by the Motorola Solutions Foundation. The foundation, which over the years has given $1.8 million to multiple Purdue programs, is especially interested in supporting STEM education. By supporting EPICS, the foundation is preparing the next generation of innovators. EPICS — short for Engineering Projects in Community Service — is a service-learning design program in which student teams partner with community organizations to address human, community and environmental needs. 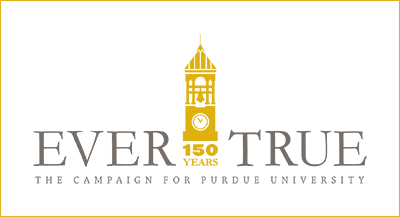 The EPICS program is an award-winning national model for engineering education and community engagement that was founded at Purdue in 1995. Since then, more than 30 universities have adopted the program. In 2006, the EPICS team launched a national K-12 initiative aimed at opening younger students’ eyes to the role engineers can play in the community and to the possibilities an engineering career offers. Through the EPICS University Consortium, a global effort, a growing number of institutions are participating worldwide. 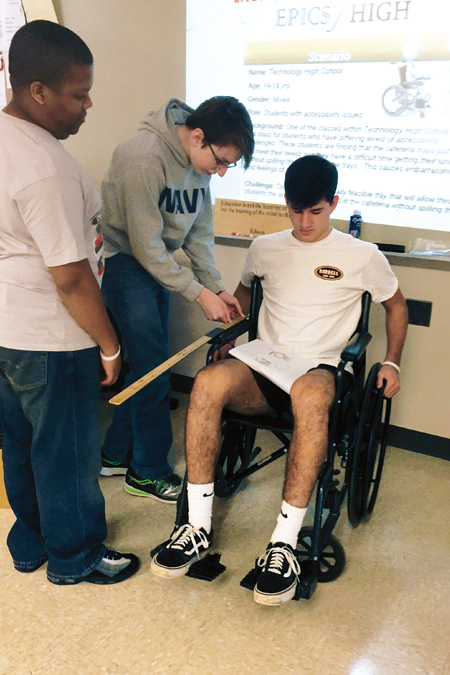 EPICS students at Hereford High School in Maryland work on a design challenge to address the needs of students who are confined to a wheelchair. Today, approximately 120 schools and 4,500 students nationwide participate in EPICS K-12, thanks in large part to support from the Motorola Solutions Foundation. The foundation was one of the first to fund EPICS’ expansion into high schools. 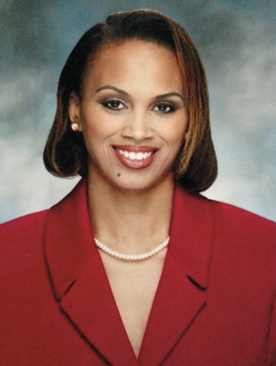 The initial major gift in 2010 helped establish the program in the Chicago area. Since then, significant annual support from the foundation has taken EPICS K-12 even farther — to schools in Baltimore, Broward County (Florida), Phoenix and Seattle. This past year, students at Urban Prep-Bronzeville Academy in Chicago initiated a composting program to reclaim food and paper waste for productive use in the school’s courtyard garden. At Sammamish High School in Bellevue, Washington, near Seattle, students worked with the special education department to modify motorized ride-on cars for preschoolers — equipping them with head and knee controls for easier operation and restraint systems for safety. The foundational idea of helping others makes EPICS unique — and it also appeals to underrepresented students, particularly females. More than 60 percent of EPICS K-12 participants are minorities, and more than 50 percent are females. To reach even more underrepresented students, the EPICS team hopes to continue sharing its curriculum free of charge with interested schools; therefore, philanthropic support will continue to play a critical role. For the foundation, continuing to invest in EPICS just makes sense in that it lines up with corporate goals to advance STEM education and prepare the next generation of innovators. To support EPICS, contact Jeff Anderson, director of development, at 765-494-0023 or jsanderson@prf.org.